Leading contractor, Wates Construction, is urging its regional peers to increase local supply chain engagement on public sector projects across the East Midlands to ensure the sustainability of the region’s industry. 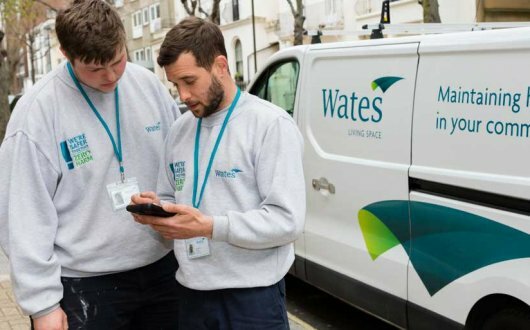 The fresh call to action comes as Wates reaches a spend of over £30m with regional sub-contractors across its East Midlands Property Alliance (empa) projects since its appointment to Scape’s Provincial and Intermediate* frameworks in 2014. Local suppliers and sub-contractors are the lifeline of the construction industry in the East Midlands and investment in new projects across the region presents us with a crucial opportunity to protect their economic longevity. Wates Construction has become the latest of the region’s industry leaders to emphasise the importance of local supply chain engagement following the release of Scape’s ‘Sustainability in the Supply Chain’ report in August this year**. Scape has shed light on a long-standing and vital issue for the industry, emphasising that employing a local supply chain is a core part of ensuring the long-term sustainability of the region’s economy. The strength of Wates’ position in the industry, I believe, is in-part due to our established commitment to addressing this issue, but we are always looking for new and effective ways to fulfil this responsibility, something that Scape seeks to cultivate amongst all empa partners. Unsurprisingly Scape’s report revealed that 67% of public sector bodies place skills investment as the primary priority in the supply chain, a sentiment that is shared across the board. Investment in skills is critical for the industry and working with our supply chain to facilitate investment in training will not only ensure their business is sustainable but will also enable us to work together to upskilll the future workforce. Wates’ position on the empa frameworks has so far seen the contractor’s appointment to 12 public sector projects across Derbyshire, Nottinghamshire, Leicestershire and Lincolnshire. These include Nottingham City Council’s £7.2m refurbishment of a once derelict former hosiery factory at Dakeyne Street, which was transformed into a hub for the city’s creative quarter. Of the project supply chain at Dakeyne Street, 86% were SMEs and 81% were located within a 40-mile radius of the project, while five apprentices were employed throughout our time on site. Projects like Dakeyne Street put into practice the principles outlined in Scape’s Sustainability in the Supply Chain report and provide an excellent example of how vital public sector investment is to local businesses. The responsibility falls to the industry to safeguard the suppliers and sub-contractors that make possible the excellent work that is being done in the East Midlands’ built environment.